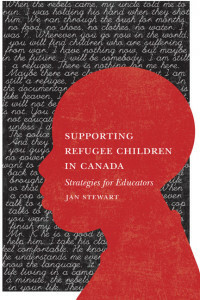 Supporting refugee children: Strategies for educators, written by Jan Stewart (2011), Associate professor in the Faculty of Education at the University of Winnipeg, provides educators, researchers, counsellors, and social workers with an invaluable resource about special considerations regarding refugee children in the education system. The book is separated into two sections, one focusing on theory and research, and another focusing on practice (including lesson plans). The first section includes a focus on the migration process, trauma, the impact of war on children, psychosocial and environmental issues and concerns, and how all of these issues must be considered within an educational context. The second section provides lessons for an entire class, including refugee and non-refugee children, on increasing self-expression, working through difficult issues, and facilitating resilience. Recommendations for policy and practice are also provided. The book not only focuses on how to help refugee children in the classroom, it also provides valuable lessons for all students. 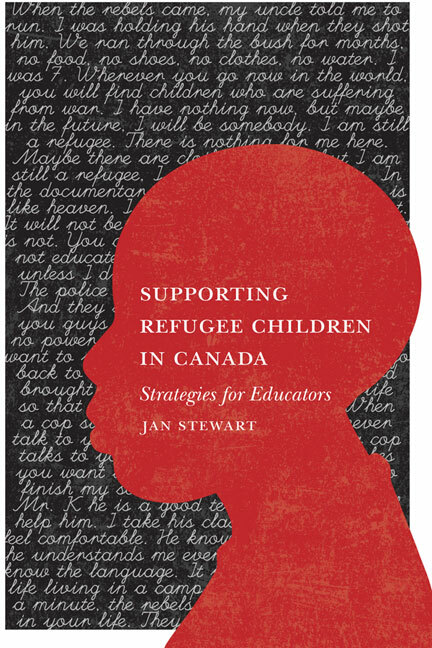 Throughout the book the author provides real life examples of the experiences of refugee children, which further illustrates the utility of the theories and lessons in an educational setting.